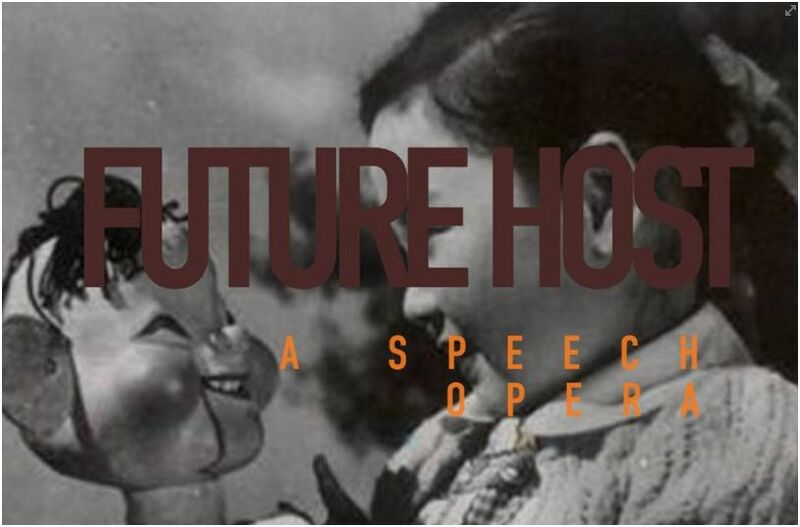 Knockdown Center is pleased to present Future Host: A Speech Opera, a multichannel spatial sound and performance installation and collaboration of artists across disciplines from China and the United States, premiering January 20-22, 2017. Inspired by Stockhausen’s Gesang der Jünglinge and the post-socialist experience, Future Host features spatialized speech recordings and original music performed by a string quartet. Written in Chinese and performed by 19 voice actors, Future Host channels historical patterns of speaking and speech-making in the amorphous form of chorus. Along with live musical performance, fragmented words and unorthodox verbal expressions are digitally composed into an 8-channel polyphonic soundscape, where the ambulatory audience form their own individual, immersive acoustic experience beyond the limits of comprehensibility. This entry was posted on Sunday, January 22nd, 2017 at 7:00 am	and is filed under Events, Press Release. You can follow any responses to this entry through the RSS 2.0 feed. You can leave a response, or trackback from your own site.